I hope everyone had a nice first official weekend of Fall. I recently posted giveaways for extra virgin olive oil and Skullcandy ear buds, so check those out. Now that summer is over, I knew it wouldn't be long before we started seeing pumpkin everything. September hasn't even ended and everything is turning orange before our very eyes. Pumpkin is everywhere! Despite my surprise (or is it disgust?) over #PumpkinSpiceEverything, I recommend heading to the nearest u-pick farm and grab a pumpkin or two to decorate or carve. You can learn about farming, pick the pumpkin you want, all the while supporting local farmers. Or if you like things handed to you (don't we all? 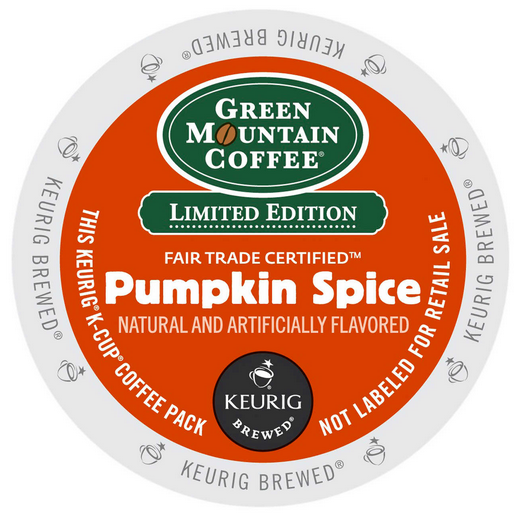 ), I have a box of Green Mountain Coffee to give away, and it's the pumpkin spice flavor! The giveaway is available to everyone worldwide. Recently I've been seeing and hearing positive things about olive oil and the Mediterranean diet, and in the USA Today in particular. Did you know olive oil helps reduce the risk of breast cancer and heart disease? 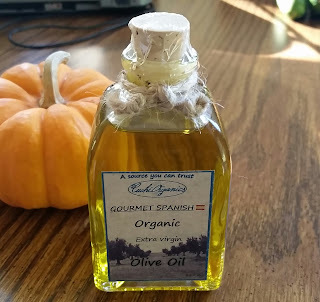 But first, I just tried the extra virgin olive oil from sisters Maricarmen & Alina at their Etsy shop, Cuchi Organics. Their passion is sharing their creations with the world and making sure we care for our planet and our bodies. That's an admirable passion if you ask me. Check out what else you need to know here. Basically, you want to get organic olive oil that's extra virgin and produced with wholesome methods. And Cuchi Organics is here to help! If you're like me, you'll love the oil with bread as a snack or before dinner, but it's also great for pasta and rice. All you need is a tablespoon for one serving. For optimal freshness, keep in a dark place at room temperature or keep it in the fridge up to two years. So let's give away a jar of olive oil, shall we?! 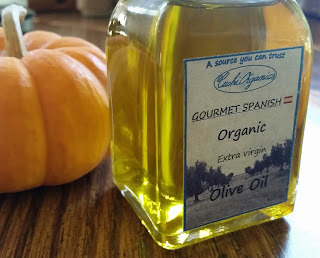 Cuchi Organics is graciously offering a 3.4 ounce jar of organic Spanish extra virgin olive oil to one lucky Giveaway Guy reader. 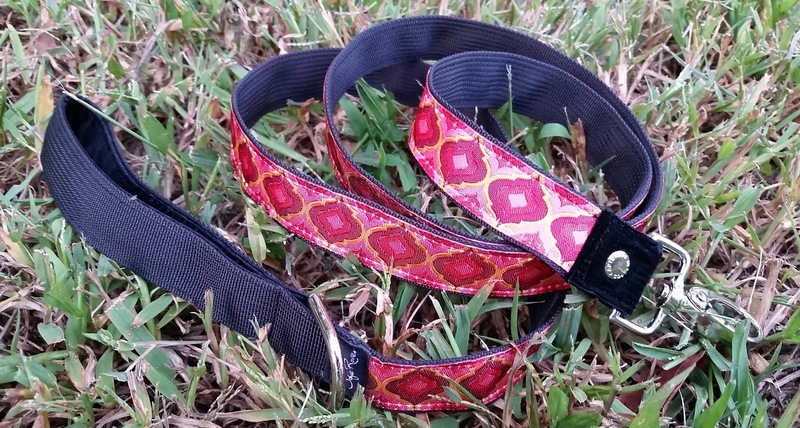 For the second day in a row, here's another product for the pet lovers to check out! 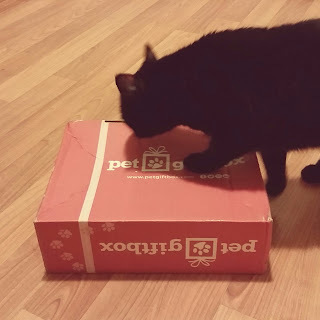 I recently had the pleasure of getting my hands (or should I say paws) on a box full of cat goodies from Pet Gift Box. Pet Gift Box is one of the fastest growing sources for awesome treats and toys for pets. In short, they do subscription boxes for pets. Sometimes it's just too expensive to try the latest pet products you see in ads, and we all lead busy lives, so getting to the store on a regular basis can be a hassle. Why not order a gift box to be sent to your pet?! You can order just one or get a subscription for several months at a discounted rate. There are separate boxes for both dogs and cats and each box is jam-packed with the best quality treats and fun toys. Jasper inspecting the Pet Gift Box that arrived for him. The Pet Gift Box team is a group of pet lovers who select and curate each box to bring you and your little buddy the most tail-wagging, purr-inducing products available. Jasper face down in toys & cat nip. Also sitting IN the box. Jasper was really interested in the box before I even opened it, and I'm guessing he could smell the cat nip-laden toys that were inside. 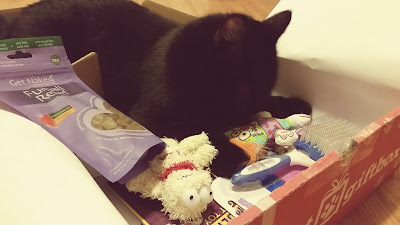 After I opened the box, he laid down inside it with all the goodies (toys, treats, brush) and was in the zone. You just don't mess with a cat and their cat nip. Jasper hugging one of his new Pet Gift Box toys. Needless to say, Jasper digs his surprise delivery. Was that another pets pun? I think this is a great gift idea for pets for your friends. I will definitely have Pet Gift Box on my mind when I need to shop for a friend. Check 'em out! Pet Gift Box is also offering coupon code GIVEAWAYGUY for 25% off your first box. For the pet lovers who read this blog, here's another product to check out! I recently had the pleasure of getting my hands (or should I say paws) on a dog leash from Capturing Couture. Capturing Couture was created by two savvy friends, Erika and Lisa, who share a passion and talent for fashion and photography. And pets too, of course. Erika and Lisa take pride in every customer and fan they have, and strive to make every customer’s experience the most amazing it can be. To them, it’s important that success happens organically by paying attention to detail and staying true to who they are. The Chloe dog leash is so fashionable that both you and your dog will look forward to the next walk around the neighborhood. 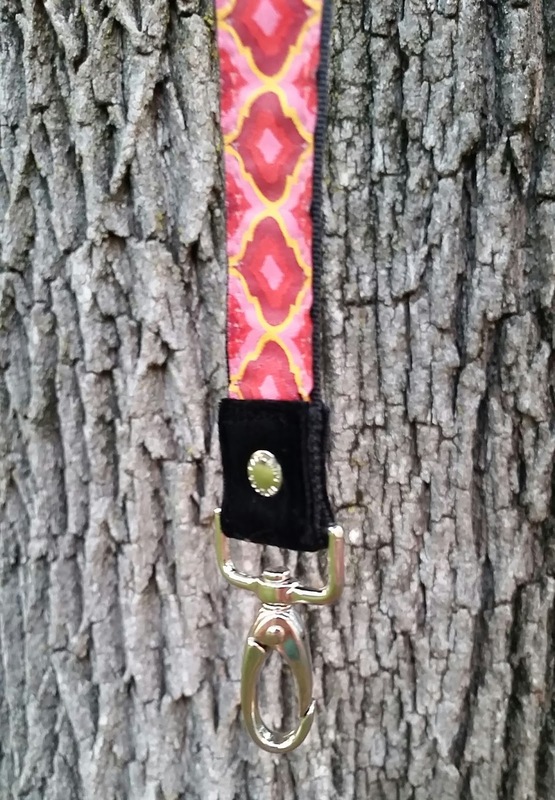 The design of this leash features Organza roses and comes in three colors - pink (shown above, although it's quite red too), aqua, and indigo. There are matching collars available too! There's a matching collar to go with the pink leash, and the other colors as well. The leash looks great with that bark. See what I did there? I'm not an expert, but I feel like the leash is made with quality material and so far it's help up nicely. One thing you might not realize is the inside of the handle is velvet plush, so it's soft and easy on your hand. Capturing Couture also offers camera and guitar straps so check out their collection. The holidays are coming in a couple months! When I was a kid I wasn't allowed to have many snacks (besides hearing "Go have an apple!"). But every once in a while my Mom let me have fig bars and it was like a delicacy to me. I still love these things. Lately I've been gorging on stone ground whole wheat fig bars from Nature's Bakery. There are nine different flavors if you can believe it! And they're all amazing. I think the blueberry is my favorite, but it's a tough call. These fig bars are one of my favorite snacks, and my wife has even got some of her friends hooked on 'em. This is what gold should taste like, bursting with soft freshness and jam-packed with fig flavor. Each little package comes with two bars in it and you can stuff the package in a pocket, purse, whatever. Great for on the go. I've seen some old reviews complaining about mold, but fear not! In the past there were Amazon issues with proper storage (keeping in a dry, cool spot is my advice), but Nature's Bakery has got your back. The bars don't contain preservatives, so eat them up before the expiration date. They're meant to be eaten fresh. 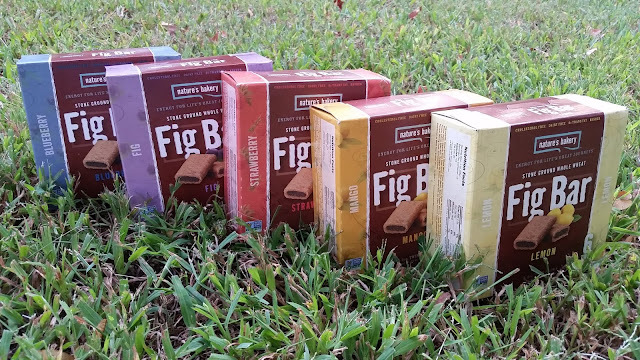 So who wants some fig bars?! The folks at Nature's Bakery have been gracious enough to offer up 5 boxes to one lucky Giveaway Guy reader, and you can pick any flavors you like. 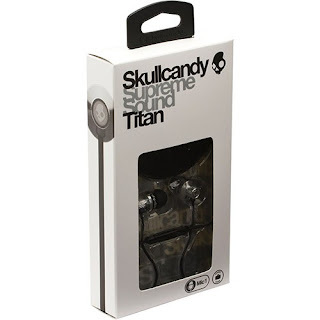 I recently won a pair of Skullcandy ear bud headphones, and I believe this particular model is no longer in production and sold out in many places. So you're looking at a rarity here. I've decided to turn around and give the ear phones away to a lucky Giveaway Guy reader rather than keep them for myself. The giveaway is available to everyone worldwide. 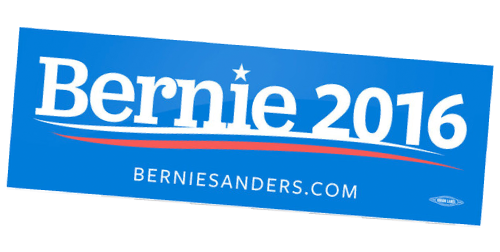 Today I saw the Bernie Sanders team is sending out a FREE bumper sticker to anyone who requests one. Just provide your mailing address by filling out the form and they'll mail one to you in a couple weeks. Grab the bumper sticker here. Stick it on your car, on a notebook - wherever! Tedeschi Food Shops had a promotion today for a free Power Crunch bar, no catch. All you had to do was either bring in the flyer or just ask about it. With the help of some friends, I've rounded up five (5) Power Crunch french vanilla bars! Rather than hoard them for myself, I'm giving them away to a lucky Giveaway Guy reader. The giveaway is available to everyone worldwide. 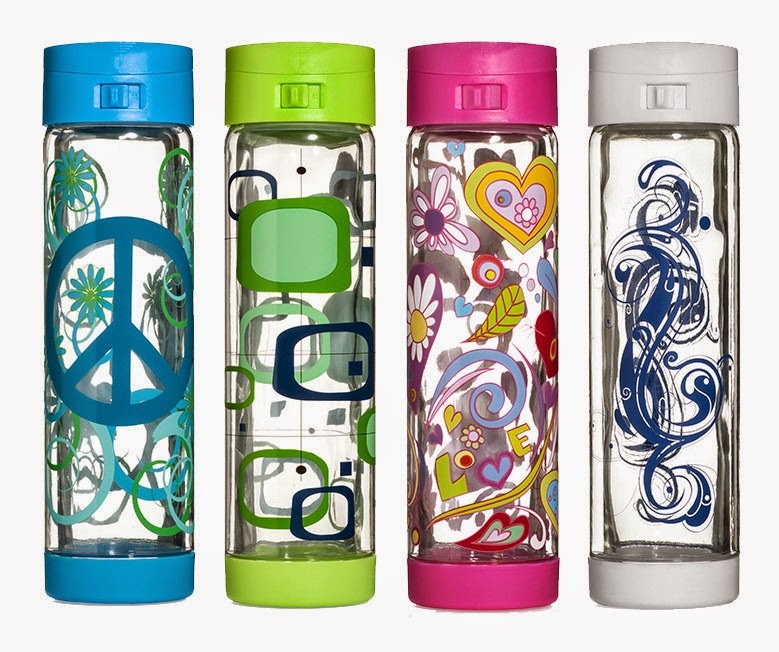 More than six months ago I partnered with Glasstic for an water bottle giveaway and it was a success! People love water bottles evidently. And for this reason, we're doing it again, but this time Glasstic has a larger selection to pick from. We almost exclusively use reusable bottles for drinking water at our house. 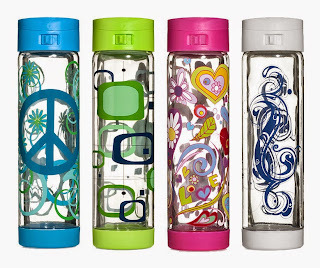 They're better for the environment and certainly cheaper than paying for the cheap plastic bottled water in stores. 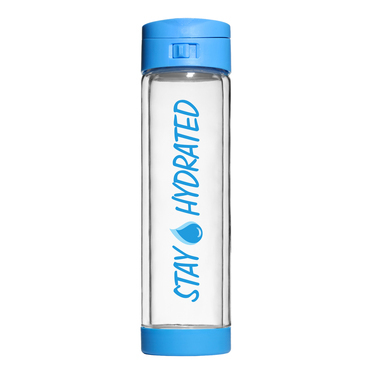 Glasstic has something you may have never tried before - shatterproof glass water bottles. How is this possible?! Well, the outside layer is hard plastic, and the inside is glass. 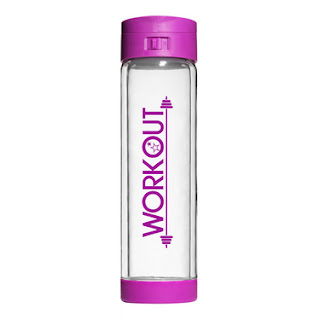 Envision a bottle within a bottle. The glass will most likely never shatter, but in the rare circumstance it does, Glasstic will replace it for you, free of charge within the first year. 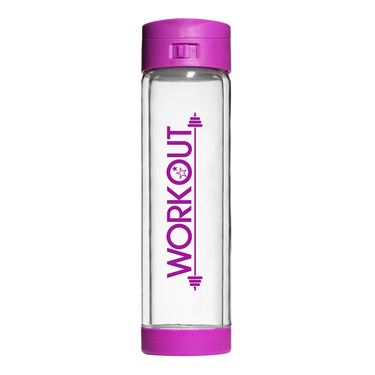 They've added more designs to the store, like the workout and stay hydrated bottles below. Know what else I like? 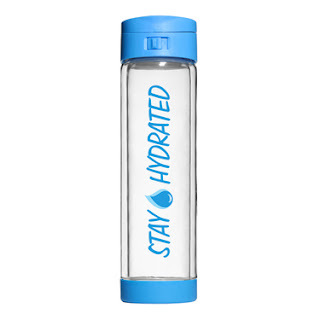 The glass water bottles are dishwasher safe, fit in cup holders (so clutch while on the go), the flip cap comes completely off for big gulps and cleaning, and you can easily stuff in ice cubes. The only thing more refreshing than water is ice-cold water. My bottle has already handled some bumps and dings, and I'm confident it'll last a long time. For our convenience Glasstic offers replacement caps to buy, which is great since at some point I'll probably want a fresh cap. So who wants a free bottle?! The folks at Glasstic have been gracious enough to offer up a bottle of your choice to one lucky Giveaway Guy reader. 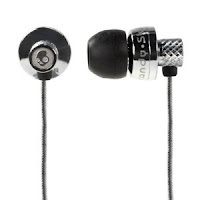 They're also offering coupon code REV15OFF, good at their website and on Amazon. It's for 15% off any bottle purchase except the multi-pack offers, and is valid through December 31, 2015. 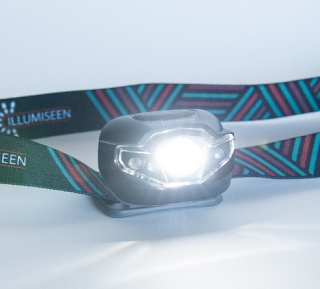 I've partnered with Illumiseen on the blog here for a couple different giveaways and they went well. I'm happy to say I've got another Illumiseen giveaway for you. If you've entered the previous giveaways you may know that IIllumiseen sells innovative LED-based products aimed to deliver safety and value to people and animals. They've got a store in the Amazon marketplace where you can check out their products, and they ensure every effort is made to exceed customer expectations. The past few days I've been playing around with the Illumiseen LED headlamp, perfect for evening strolls in my neighborhood. I get home late when the sun is setting and my wife and I bring the headlamp on our walks. The band for your head is easily adjustable and can be adjusted for big heads like mine (hey, I have a big brain). Weighing less than three ounces, it's not a burden. 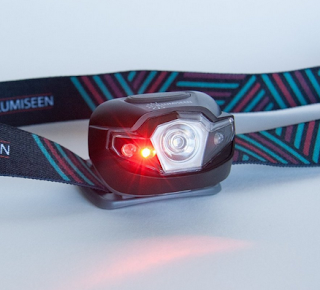 I like this headlamp! There are a few different modes with the main ones being double power and single power. Don't be confused though - the double power is one larger LED whereas the single power (not as bright) is two smaller LEDs. At it's brightest, the lamp can reach up to 40 meters (or 131 feet), which is pretty far. The light can dim as well if you need to find an in-between or very low brightness. There's also a night vision mode, which is red light. If you want to preserve your vision at night or read in the dark, this is a good mode. It's also ideal for camping if you don't want to disturb people around you with a bright light. The red light is modest and easy on the eyes. Something I was pleasantly surprised with is that it comes with batteries. Finally! A product where batteries are included! 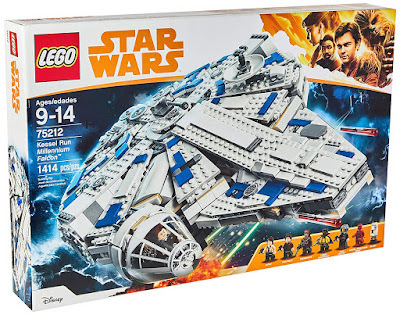 Open the packaging, insert the batteries, and you're ready to go. So who wants a headlamp?! 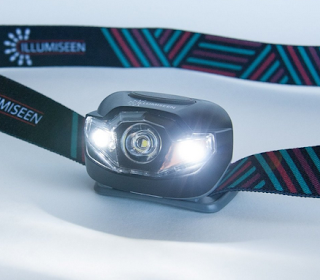 The folks at Illumiseen have been gracious enough to offer up an LED headlamp to one lucky Giveaway Guy reader. A couple weeks ago I got lucky winning a giveaway for a Golfsmith gift card. So thanks to Avis and golf lovers like myself, I've got something to pass on to you! The more often I win, the more often I can offer things on my blog. Follow me on Twitter too (@StaticSeth). I've waved my magical giveaway wand and turned the Golfsmith card into an Amazon card! I'm giving away a $25 Amazon gift card to one lucky Giveaway Guy reader. The giveaway is available to everyone worldwide.